Half of Latino entrepreneurs rely on personal capital only -- including credit card debt -- to start and expand their businesses, which limits their success as well as growth opportunities for the U.S. economy. That's according to a new survey of 4,900 Latino-owned businesses across the country by the Stanford Graduate School of Business. Latinos start enterprises at a faster rate than other groups in the country but struggle to grow those businesses, according to U.S. Census figures the researchers cite. The more than 3.3 million firms owned by Latinos nationwide made $150,000 in annual sales on average, one-quarter of what non-Latino firms made in 2012. Latino and black families have lower wealth levels than white families, which can make it harder to get a bank loan. Also, historical barriers persist in access to credit for minorities. Nationwide data show Latinos and African-Americans are far less likely to use a bank loan for startups and instead rely more on credit cards, which usually have higher interest rates. "People exhaust their own personal savings and personal resources," said Jerry Porras, a co-author of the survey of Latino entrepreneurs. "They are also using their own funds as they grow because they are not able to get outside funds easily." For Richard Santana, owner of Cafe Santana Roasting Company in Oakland's Laurel district, the ability to get financing from a local nonprofit lender was key to opening his first brick-and-mortar business -- and avoiding financial disaster. Just 15 months ago, the education consultant turned coffee roaster had racked up tens of thousands of dollars in credit card debt and spent all his family's savings to remodel the locale, but was still short. He had underestimated the total costs of construction and city permitting. Santana, 54, applied for a loan at his bank to cover up the difference, but was rejected. "They declined me saying that I didn’t have enough financial background in the business to qualify for a loan," said Santana, who has sold his in-house roasted coffee for years at farmers markets. "That was kind of tough and discouraging, and I almost did give up. I was about ready to throw in the towel and say, 'Forget it, I can’t do it.' "
Since he had already invested so much of his personal funds in the venture, Santana said, he kept knocking on doors. That's when he managed to get a loan from Main Street Launch, a community development financial institution that specializes in small-business lending. The infusion of about $100,000 allowed him to buy the rest of the equipment he needed to finally open Cafe Santana's doors to the public. 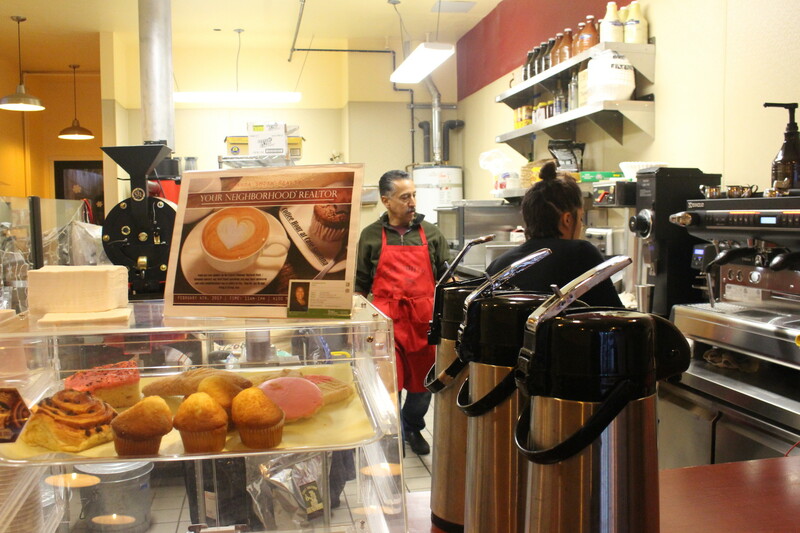 "Opening a business is expensive, but we are definitely growing," said Santana at his cafe while a long line of customers waited for coffee drinks during the morning rush. "Once we opened our doors, I just knew we were going to be OK."
Looking back, Santana wishes he'd had more support and guidance while navigating the perilous road to make his cafe a reality. The Stanford survey found that "scaled" Latino businesses -- those that earn more than $1 million in annual sales or have more than 50 employees -- use a larger network, as well as more sources of capital, compared with smaller counterparts. Often, Latino businesses simply aren’t aware of different types of capital out there, like government-funded loans, Porras said. They also don't have connections to deep-pocketed investors. Porras said venture capitalists he knows say they will not consider anyone who hasn't been introduced to them by someone they know well. "So what does that do? That shuts out almost all the Latino entrepreneurs around because they don’t know the VCs. They are not in that network," Porras said. Porras estimates that if Latino businesses could get more outside funding and grow as fast as others, that would generate more jobs and would add approximately $1.3 trillion in sales to the U.S. economy. 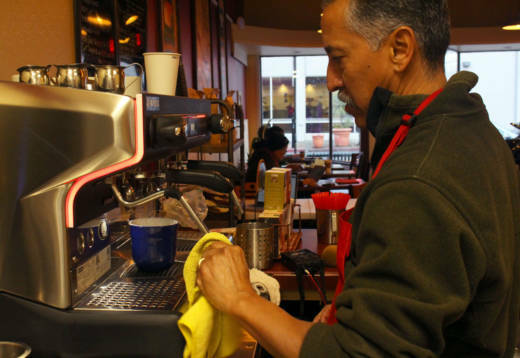 Santana said he has hired eight young employees, and his coffee's reputation continues to rise. "The goal is to provide good, quality coffee to the community," he said. "I just want everybody to experience what I experience in the morning when I drink a cup of coffee."